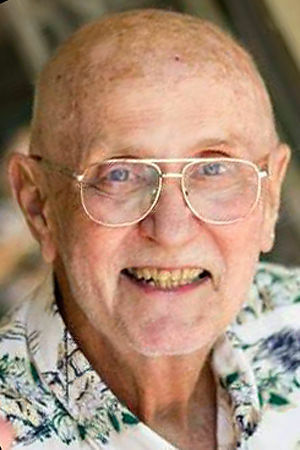 A resident of Illinois for more than 71 years and retired teacher and high school administrator, Dennis moved to Corvallis in 2001. He and Carol lived part time in Chicago until 2012. Dennis peacefully passed with family at his bedside. His brother, James, preceded him in death. He is survived by wife, Carol; daughter, Karen (Scott) Caul; granddaughter, Tela Caul; and many nieces and nephews and their families. A life well lived is to be celebrated! A celebration of Dennis' life will take place Saturday, June 20, at the Historic Old School Cafe. For more information about the celebration, email karencaul@comcast.net. Memorials can be made to Samaritan Evergreen Hospice, 1045 Sixth Ave. S.W., Albany, OR 97321; or First Congregational United Church of Christ, 4515 S.W. West Hills Road, Corvallis, OR 97333, http://www.corvallisucc.org; or the charity of your choice.